We are one of the leading manufacturer and supplier of Namkeen Machineries such as Dough Kneeder, Mixture Machine, Mixture Machine – Hydraulic, Oil Extractor, Oil Fryer -Batch-Type, Continuous Oil Fryer and Blender, fabricated from superior quality of raw materials. 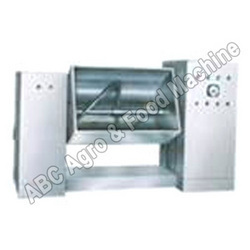 These easy to install machines are used in various food industries for preparing mouth watering snacks. Some of the features of these machines are precision functionality, optimum performance oriented and application specific design. Known for its durability and long service life, these are made in our state of the art production unit with all quality standard. Our range of Oil Extractor is well known for its international quality, durability and reliability. 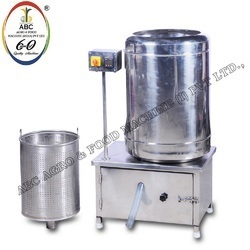 Fabricated from superior quality raw materials, these extractors are extensively used for extracting excess fat and oil used for preparing namkeens. Made in our latest technology equipped production unit by team of dedicated technicians, these easy to use extractors are known for its specific design, durability and quality performance and are available with capacity of 25Kg/hr onwards. We are engaged in offering our clients a high quality range of Oil Extractor Machine that is used in Namkeen Unit. The offered Oil Extractor Machine is manufactured using quality proven components and the latest technology in line with industry norms. As per the various demands of our customers, we provide this peeling machine in different designs and sizes. Our quality experts test this Oil Extractor Machine on different parameters, so as to maintain the quality. To meet the diversified requirements of our prestigious clients, we are engaged in offering Dough Kneader Machine. Precisely designed Namkeen Dough mixer for easy mixing of different ingredients of Flours spices in a uniform manner. We are occupied in Manufacturing and Exporting Namkeen Extruder Machine to our clients. The provided Mixture Machine is manufactured by our resourceful professionals using most favorable components and pioneering techniques as per international standards. This Namkeen Machine is widely acclaimed in snacks production applications to diverse types of namkeen for obtaining desired shapes and sizes. Obtainable in different technical specifications, the offered machine can be purchased from us at reasonable prices. Features: Available in two Models: 50 kg/hr and 90 kg/hr Available in stainless steel as well as mild steel Specifications: 50 kg/hr model, motor requirement is 1 HP and for 90 kg/hr model motor requirement is 1.5 HP. 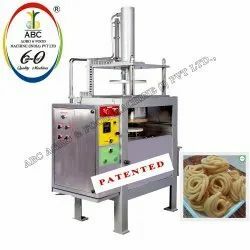 Highly acclaimed for its excellence,with take the pride to present to you a supreme quality Multi-Type Murukku Making Machine that is manufactured using quality assured raw material . Fabricated from toughest of raw materials, these cost saving Heavy Multi Type Murukku Making Machine are extensively used in snack industries. These low maintenance and high performance machines are extremely helpful in bringing down production costs as Heavy Multi Type Murukku Machine can be operated with minimal Manpower. We are one of the leading manufacturer and supplier of the finest quality Dough Kneeder. Manufactured by following all quality standards, our skilled technicians ensure that our products surpass all kinds of quality tests. 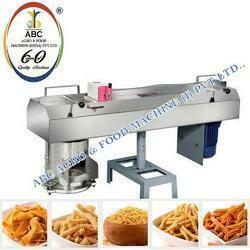 Renowned for its durability and cost effectiveness, these machines are widely used in snack making units. Our dough kneeders are available in capacity of 5Kgs to 40Kgs. As an eminent enterprise, we are manufacturing and supplying highly efficient Sev Extruder Machine that is widely demanded in different Snacks Industries. Our offered Sev Extruder Machine is designed by our adroit professionals using advanced technology and the finest quality components in sync with industry norms. 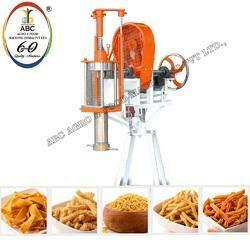 The provided Sev Extruder Machine is checked on different quality measures in order to ensure its quality. Being one of the leading names in providing excellent quality products, we are offering Blenders. The product is well known for its features like precise functioning, specific design and ease of operation, due to our extensive use of latest technology and stringent quality tests. Used for mixing uniform quantity of different ingredients into base namkeen, these blenders are available in various models and capacity in both manual and automatic.